Creating a brand identity for a Sydney University - UNSW. 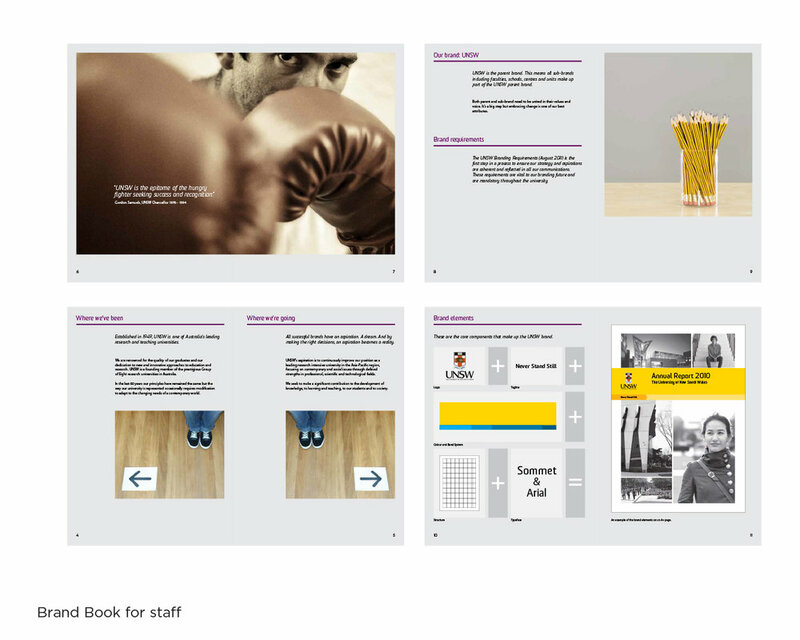 Brand templates and Brand guidelines were created which included marketing collateral and wayfinding signage. Creating a brand identity for a Sydney University - UNSW. With 50,000 students and 6,000 staff UNSW desperately needed a united, singular voice. Our brand strategic thought of ‘Never Stand Still’ became the tag line too. A simple yellow band system was created to unite the work of dozens of semi-autonomous faculty’s. Every touch point of the brand became coherent and standardised for the first time, including brand signage and brand wayfinding. Downloadable brand tools and templates were created for marketing and communications.